There are nearly 7,000 spoken languages in the world and I can only really speak one. More people than ever before are moving around the globe – in 2015, 244 million people were living in a different country to the one where they were born and there were 21.3 million refugees. The numbers for this year will definitely be higher. You know what millions of people could really use right now? More than a premium tablet, more than a VR headset – both of which benefit from millions of dollars of R&D. A language translating hearable. I'm not so naive to think that every traveller or migrant in a new country will be handed a translation hearable at the airport or docks anytime soon. Or that gadgets will replace language learning, however temporary the retention, as a means of communication. We also shouldn't worry about highly skilled translators being out of a job – at least for now AI cannot compete. Still, Silicon Valley's interest in the project of breaking down language barriers is picking up speed. It's a problem of two parts, of course. The more pressing problem is one of software, which Google and Microsoft are pouring resources into, and then there's the issue of figuring out how to make human interactions natural. Enter the quest to build some kind of Universal Translator meets Babel Fish hearable. A few wearable tech upstarts are showing interest in the area of translation hearables. Doppler Labs, the company behind the augmented audio Here One earbuds, is experimenting with real time, in-ear translation in Spanish. The feature won't make it into the Here Ones, which are already in the business of filtering and modifying the sounds that enter your ear via multiple microphones and noise filtering technology. But Doppler Labs told FastCo that the aim could be to process the translation on the device or on your phone, not in the cloud. Chances are if you need translation, you're travelling and so might not have the best/cheapest connection. Then there's Pilot, otherwise known as a wait-and-see. It's a translation app and hearable device being developed by a New York-based startup named Waverly Labs which raised $3.5 million on Indiegogo from over 15,000 backers, a sign of the high early-adopter demand for this tech holy grail. While the smart earpiece isn't due till May 2017, the app for iOS and Android should go live by the end of this year, giving us an indication of whether its voice recognition and real time translation is up to scratch. So far, we just don't know. At this year's IFA, Bragi – makers of the do-it-all Dash hearable – told us that one of the ambitions of its partnership with IBM is investigating how "audio social networking" can improve international relations, presumably primarily in business. "What happens if you link up with Google Translate and I can hear you in English or someone can translate your voice into German," said communications manager Jake Duhaime. "How much does that change things for international relations?" Indeed, as Bragi suggests, Google Translate is probably one of the best chances at a translation accessory becoming reality, whether or not it makes the hardware itself. Reviewed as one of the most all-round accurate options and constantly improving, Translate is available on Google's new Home hub, Android Wear smartwatches and Android phones, and has also been used in Google's experiments into AR translation. They all require an internet connection. The smartphone app accepts voice input in 15 languages and will translate into around 50 languages, speaking back to you in up to 24 (mostly European). What's nice is it's now integrated into Tap, which means it'll work on text when you're using any app on your phone. Google's main rival, Microsoft Translator, can also translate 50 languages with 'conversations' for eight languages, and you can get the app on the Apple Watch. Google's figure is actually as high as 103 languages for Translate on the web, based on open language data sets, but some are text or image based only currently. Looking at migration, travel and population trends, you can see that some languages are more in need of translation than others. Chinese is now spoken by 1.05 billion people, for instance. According to the Global Migration Data Analysis Centre, Germany is second to the US in the world for migrants, with 12 million foreign-born residents arriving in 2015 and no doubt more this year. The large groups of refugees and migrants arriving from countries like Syria, Afghanistan and Somalia speak languages including Arabic, Pashto and Kurdish. Russia is the third most popular destination overall. And yet English is often given prominence in translation apps. Google's big task ahead is to close the gap between the 15/24 languages which support some degree of translation via voice (including Arabic, Chinese, German and Russian) and the 103 languages Translate supports. The languages which use its just announced "next gen Neural" translation technology include Chinese, French, German, Japanese, Korean, Portuguese, Spanish and Turkish. Essentially, it's using machine learning (GNMT) to translate between languages that haven't even been paired by the system yet. So not only will AI get us to more natural, "fluent" sentences in real time translation, but the speed of adding new languages should increase. Pilot will start with US and European-targeted languages: English, French, Spanish, Italian and Portuguese at the app launch, which may of course be delayed. More promisingly, Waverly Labs says that between summer and autumn 2017 it will add new language groups including Arabic, Germanic, Hebrew, Slavic, Russian, East Asian and Slavic languages. Ultimately, earbuds are going fully wireless and adding features like augmented audio, heart rate tracking and interactions with AI voice assistants. 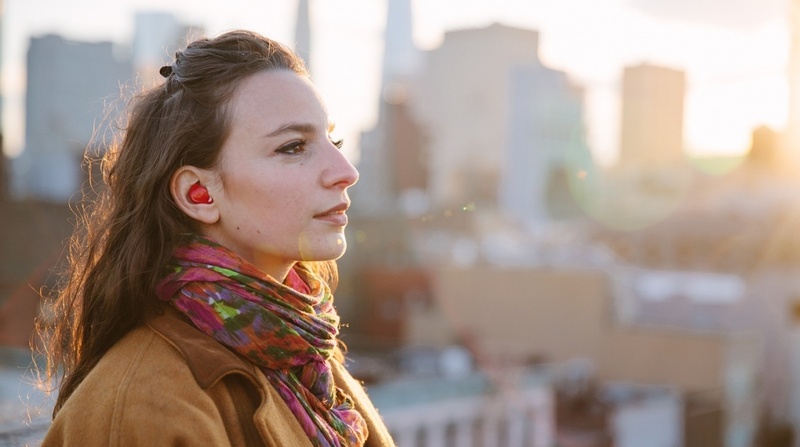 Hearables are key to the idea of ambient computing. So it's not out of the realm of possibility that affordable, everyday smart earbuds with microphones and processors onboard could add Google Translate to the mix, with or without a smartphone nearby. They can't come soon enough.